He sat there, thinking of everything that had happened up till this point. He sat there behind that big wood desk, looking about the room. He imagined how his parents would feel that he had done so much with his talents in such a short time. He was on record as the youngest Hokage in history. That made him feel weird. Weather he was great or evil, his name would always be remembered. He imagined his mother standing behind him playing the caring role and his father patting him on the back and saying "Atta boy. Go get'em." He felt tears swell up in his eyes then he shook them away and focused on his work. He had a stack of papers he needed to approve. It was only a week from the Chunnin exams and he needed to have everything approved and sent out before then. The door flew open and in rushed a confused Jounin. "Sir! How can you not have finished your work yet?!" The man didn't even bow or kneel or even knock when he entered. Hinin shook his head and stood, almost angrily. "Excuse me 'Sir' but I don't remember me inviting you into my office. As you can see" He pointed to the last stack that was left. "I only have one more stack. Now if you have any more complaints you can take it up with me later." He tried to sound casual but his humor shown through. "I have work to do." The Jounin nodded and headed out slowly and somewhat ashamed of himself. "I swear some people," he thought to himself. He flew through the last stack like it was candy. It was just a bunch of requests for the exams. He sighed in relief and slid his hands behind his head, slouching down. "Well I guess the day is over. Time to relax." Kota and Notaru had just returned to the village a few days ago and were recovering from some minor injuries which were covered in gauze and bandages. Under the bandages he wore a plain gray shirt with a white circle, the symbol for 'dog' scribbled in the center. Under the shirt he wore a pair or plain grey slacks equipped with a shuriken pouch clipped on his belt and a leather case wrapped to his leg to hold two large kunai. He also had his preferred weapons hooked into a leather quiver specially made for the scythe/sword weapon and was strapped up with a red leather slung around his shoulder and across his chest. "I can't believe I got promoted!" He chuckled, glancing at his partner as he barked under the curl of his lip. Kota patted him on the head as he pushed the flaps of a door way open and making his way to the bar, greeting a few friends and people he worked with. A man came up behind the counter and smiled, "Kota! Notaru! The usual?" Kota nodded with a pleased expression and yawned, his arms resting on the counter and the large dog laying down by his feet. A few minutes later, the man came back with a platter of meats and set them down. Kota took one plate and set it down for the dog out as he began to eat. The man patted his shoulder, "And don't worry about paying, this one is on the house, you earned it after your last mission." As he was about to close his eyes, a knock on the door could be heard. He quickly sat up and opened his eyes wide and said "Come in." It was the Jounin from before. This made his face grow grim. Every time this man came into the room it meant more paper work. "Oh what is it?" "Well sir you did say you wanted to be notified the instant that your new captain returned. " He stood at attention like he was in the army or something. This made Hinin almost burst out in laughter. "And?" He waited a reply. "And he is in the bar down the road." He bowed and took off out the door. Hinin wondered what he was doing all the time that kept him so busy but then he figured that it was preparations for the exams that kept this man so busy. Hinin stood up and walked out the door then down the steps. From there, he headed for the bar. When he entered the bar, he looked around and it didn't take but two seconds to find his captain. He approached the counter, leaning against the wood and looking over at the man. "Congradulations on the successful mission. clearly I wasn't in the wrong to promote you." He smiled as the taste of sweet and spicy teriaki sause swelled on his tongue. "Ah, the meat here never ceases to amaze my taste buds." He chuckled and took a sip of his saki the man brought out a few muinites ago. He usually avoided alcohol but he felt it was deserved after his occomplishments. Even Nota was sipping from a saucer of the liquid with joy. Some people nearby laughed, a dog drinking liqure was quite an anomaly. He smiled as well. "Here's your reward by the way." he tossed a bag of ryu on the counter and slid it over to Kota. "I am truly sorry about the difficulty of the mission. I wanted to be sure you were ready. " He looked up to the bar-tender and said "One sake please." He put down six ryu on the counter and slid it to the man, then picked up his glass and took a sip. "Ah great sake. Oh I want a full report on my desk by tomorrow morning but you already know that. " He sipped his sake more. He chuckled, slipping the money into his pocket. "Already done, I had three days to write it out. I had a messenger to deliver it." He took another sip and placed the glass back on the counter. "You should have received it by now, I think I may take my money back and start delivering them myselves from now on. After all...my new position won't allow me to make a mistake." He picked up a piece of meat and chewed it before swallowing. "And don't forget my companion, he was just as important as I was in that mission." He patted to large dog on the head. He took another sip. "It must be one of those papers on my desk. Obviously they didn't choose me for this job because of my keen skill at paper work." He laughed and took another sip. "And who could ever forget Notaru there? " He smiled again and took a swig. "Don't worry about your position so much. Your main focus is your men now. After all being an Anbu captain is basically like being a Jounin only harder." He let out a chuckle again. "Ah great." He shrugged. "I'll probably avoid the difficulties somehow...seems like a lot of work." He shrugged. "Well the only time that Anbu captains go out of the village is for recon and war missions and as a Captain it is your duty during the Chunnin exams to make sure I am safe. That basically consists of standing in one place for an extended amount of time. " He smiled. "Really the only job you actually have is to make sure that when I tell you to do something you get the message to your subordinates." He sighed, thinking of all the work that was going to come from the Chunnin exams. Luckily, it was in the village this year. He truly hoped to see some interesting competitors this year. "Ugh. The Chunnin Exams." "Well, we can start after this meal. Our injuries are healed enough." He pit off another piece of meat, his sharp fangs cutting through the strands of muscle. He swallowed and then eyed his HoKage. "If you wouldent mind coming with me by my apartment, I can get my gear and begin." He eyed around the room and then leaned closer and whispered, "Have you heard anything from the other Countries? The Akatsuki to be specific..." Notaru looked around to make sure they were guarded. He leaned closer. "I have but I would rather prefer speaking on this in a less crowded area. I will fill you in in my office." He nodded and motioned for the door. "I swear that Jounin who brings my messages is such a drag. All work." Once outside he sighed thinking of what needed to be done. "So first on agenda today is...." He searched his thoughts. "the speech I am required to make to all of the young Genin just before they plunge themselves into the forest of death." He started to go through all the things he needed to talk about during the speech. "First to your apartment. " He smiled and began to walk. He lead the three of the back to his apartment and stepped through the front door. The room they entered was basic, clean, and had a matress thrown into the left hand corner and opposite that to the right was a pile of furs and such that had been flattened into a shallow crater for Notaru to sleep on. He stepped through this area and then stopped Hinin, "This next room is for the eyes of the Inuzuka clan only." Him and the dog entered and a few moments later they came out garbed in their preferred demeanor. Kota wore a leather vest similar to what all Jonin wore with the difference being that it was brown and had a hood fastened around the collar, as well as his scythe sword combo fastened to his backside. He wore the same pants although he now wore a unusual pair of boots that were thick at the shins, padding, and over the foot and toes but everything else was a thin fabric for swift movements. He also had a metal headband fastened to the right side of his vest so he could show his village without obscuring his face. He had pulled up his hood and pulled a specialized ANBU mask over his face. Notaru had one change, he now wore a leather sattle, (Seeing as he is the size of a horse) and had an assortment of weapons holstered onto the sides with the exceptiong of opening where his legs and feet would hang. He then shot the door and headed back out. "We're ready, sir." He nodded and smiled. "All suited up I see. Well It is required that I actually wear this." He grabbed behind his neck and pulled up the Hokage hat. "Have to keep up appearances after all. Anyway, lets stop by my office so you can be briefed before we do the social thing. You need to know about the front line and all that. " he smiled trying to mask his worry. This was his first time taking part in the Chunnin exams as the Hokage. He was worried that people would think poorly of his speaking skills but he was known for his over thinking. "shall we?" He started towards the 'Hokage Mansion'. He then followed his lead. This being the first time. Went into public with his ANBU attire. He walked through the town until he came to the mansion. Once inside and in the office, he shut the door behind his two guests and sat down on his desk. "Ok. So I am going to list all the information weather you know it already or not. Starting with the first item: Nameless has officially declared that his operation "Moon's eye" is underway. We don't have all the information but from what I have read in history books and the briefings, this is very very bad. If you haven't read any of it, this operation involves taking control over the planet by replacing the moon with his Sharingon that is advanced enough for it to work. As for the Akatsuki, we are hitting them from all sides and they seem to just come back with just as much force. It does not seem likely that the war will be ending soon but one thing is for sure. If we get to Nameless, we can stop his army. Intel has told me his location but getting there is terribly difficult without detection. He is held up on an island surrounded by mountains and water. It is the Land of Waves. You can look it up on a map if you wish but we aren't in a position right now that we can attack him directly. He is playing it safe this time. From what we have learned, even if someone were to fight him directly, the only way to defeat him would be to kill him. As of right now, it is not clear of how he is keeping his soldiers strong but We will know as soon as he can." He sighed, hating to speak that much in one conversation but it needed to be said. It is his job after all. "Ok, what is your take on it all." He smirked, already having somewhat of a plan forming in his head. "Well..." He grabbed a map off the wall and studied for a brief moment. "I read some history books and what I remember...the island has a few caves hidden under the water. They are dark and narrow. I can lead a group of ANBU through one of these tunnels and sneak in un-detected. 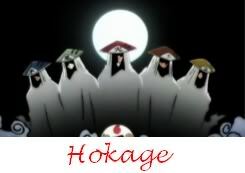 I am excellent at tracking and have a few remnants of the Hyuuga clan in my ranks." He had apparently already took measures to memorize the soldiers now serving him. "At the very least, we can gain some intel as of places they are stationed and possibly a way to cripple them." He eyed the map. "If I have your approval, I shall need to discuss this with a war general and study a better map of terrain. For the best route." His smile showed some pride in his memory of the tunnels. He grinned and nodded in agreement. "I like it but nothing will go down until after the exams. It would be too risky to send out my best men that far of a distance during the biggest event of the year. As for the actual operation it will be strictly recon to gather intel. I want know one discovered. I will go over the mission details once I finish the paper work." He nodded and motioned for the door. "Now back to the social things." He walked out the door and down the steps to the street. From there, he led them towards the Forest of Death. He let out a nervous laugh sound as he saw the forest, "I remember this place well..." A small shiver went up his spine. He quickly shook it off and looked around, examining the grizzly death trap. "So, have the students already taken the quiz given to them by the intelligence department?" He crossed his arms, "As well as that...who are in charge of the next three events?" He pawed at the dirt with his boot. He smiled at his old friend's fear. It reminded him of his days of Genin hood. "They are being told of the final stages of the test now. I am sure there will be a few that dropped out but the way I hear it, there is a good turn out this year. As for who is in charge this year, it is a young Jounin. Maybe the youngest I have seen. Anyway, It is his first year as well as mine. " He made his way to the front of the gates to the Forest of Death and awaited the Genin. "Ah, seems that a new generation has sprouted then? I remember the days leading up to my exam. As well as to this moment." He had a thought of the sudden and slid his mask to the side, uncovering half his face but still hiding him under the shadows of the canopy and his hood. He rubbed his chin with his thumb and forefinger. "I have a revelation." He walked to an ANBU centinal standing off a few yards away and approached him. The shrouded ANBU stood at attention, "Sir?" Kota spoke an order then, "Relay a message for me. Gather a few men from my ranks with skill in gathering intelligence and give them this." He pulled out a scrap or paper and wrote some orders on it. "Make sure they know that they are not to be discovered and they should not help the students in any way." The ANBU nodded before dashing to a rooftop and then disappearing as he paced his way to the ANBU HQ. He then walked back to his HoKage, sliding his mask back in place. Hinin smiled. "A surprise for the young ones I presume?" He smiled and remembered when he received that exact order just three years before. He now saw the Genin making their way to the courtyard as he now stood up straight and faced the crowd. He eyed all of the Genin from so many nations. Every one of them seemed to have one thing in common. They all looked very nervous. Excitement and fear filled the area as they all seemed to talk amongst themselves. He put his hands behind his back and waited until everyone fell silent and their eyes on him. He smiled at this and said in the most confident voice he could muster "Hello Everyone! Welcome to the second stage of the Chunnin Exams." Kota and Notaru took a few steps back and decided to relax as Hinin addressed the students in speach. Notaru sat down and Kota leaned against the side of his rib cage, eyeing the children from behind his mask, studying the teams and assorting which ones were partnered together and seemed to behave the best, as well as seeing out which had the most passion, rage, and excitement. However, his gaze seemed only interested in the children from Konoha. "As I am sure you have already been told, this is the chance of the lifetime to prove your worth to your village as well to the ninja world. I am new at speaking to the public as you all know but I want every last one of you to do your best. Give this everything you have because your future and your villages' futures ride on these exams. If you fail, sure you can always do it again next year but that experience will last a lifetime. I am told to warn you of the dangers that lie ahead of you. As you were told at the beginning of the first exam, at this time, if there is anyone who wishes to quit, now would be an good time. The dangers are not only wild animals but other ninjas from other villages as well as your own. Be aware of every thing i am telling you now. Some people have died in this competition and we wouldn't want that to happen now would we? There is two scrolls you must capture. You each already have one scroll that was placed in your possession after the end of round one. You may, under no circumstances, open or read these scrolls until you are given permission. Anyone who opens the scrolls before the set time, will be immediately disqualified. 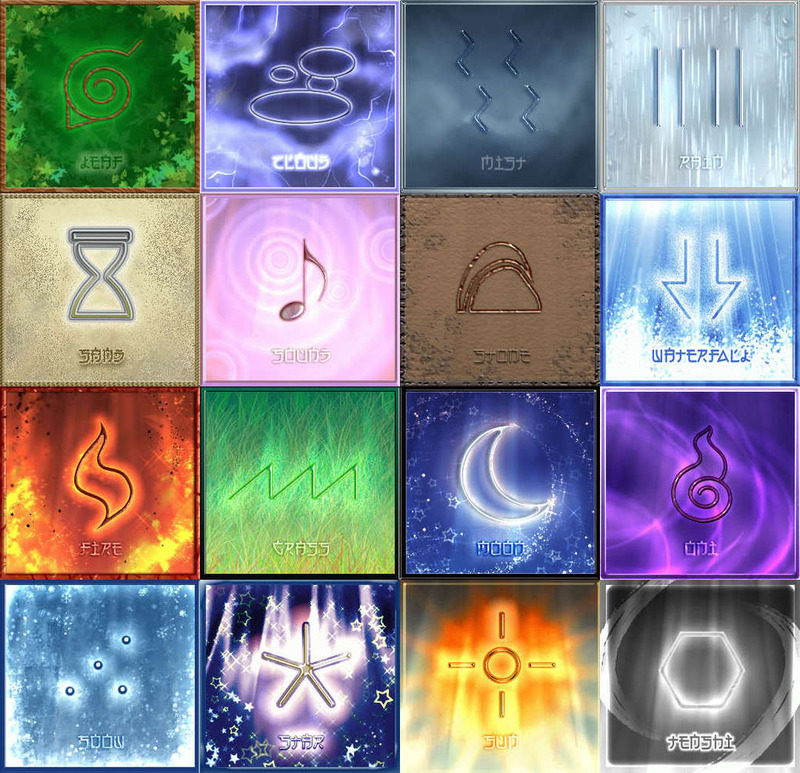 You either have a earth scroll....Or a wind scroll. Which ever one you have, you must retrieve its partner before three days time. There is one final requirement. You must also move to the northern temple in the Forest of Death before the time. After exactly three days, you will be given permission to read your scrolls. Anyone who makes it past this round will go on to the next exam. And now for my final point. Good luck and stay as safe as can be expected. " He sighed, feeling a little winded from all the talking. He remembered being a Genin listening to the Hokage talk about that and he also remembered feeling very bored. He stepped aside for the Jounin to step forth and finish the instruction. Hinin smiled as the Genin all took off running into the forest like it was a good thing. "So how many do you think will make it?" He stood quiet for a few seconds, "The students of Konoha make up around ten teams, this is more than before and I say that about three of them won't make it from sheer observation...but I hope they prove me wrong..." As he finished his sentence a group of ten ANBU men garbed in camouflaged cloaks and their traditional masks dropped to one knee beside him and Notaru. They all stood after Kota gave his okay and one stepped forwards, "We received you note, we are here for quick briefing sir." Kota nodded, "You made good time." The man nodded, "Thank you, sir." He stepped closer to them, "Listen closely...I wish for each of you men to follow one Platoon of Genin each. I wan you to take notes on their performance and under no circumstances are you to be seen or are you to help them to progress in their testing. Return to me after this test and give me the results, am I understood?" The men nodded. "Then dispurse!" As he said this, the man scattered and dashed over the gate of the forest, to examin the platoons assigned to them in the note. He smiled and turned. "That was easier than I expected. " He started to walk back to village. "Ok Kota. Your work is done for the day. I have grading to get done. " He made a face. "What are your plans?" He yawned and continued to walk, now in the village. At this time, he pulled the hat off his head and let it fall onto his back.